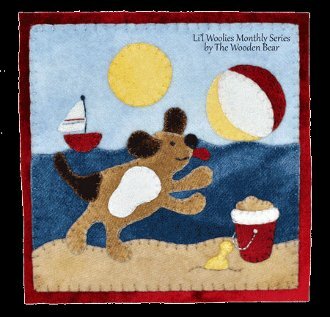 This appliqued puppy frolics in the waves as he chases his ball in the sun. The sailboat in the background beckons and sand toys finish off his play day. The finished block measures 7" square.